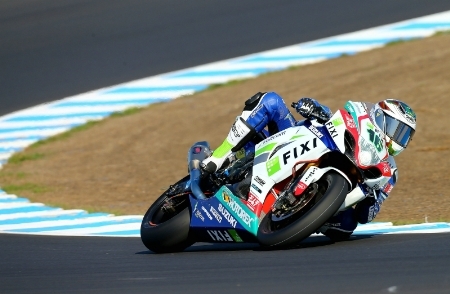 After a strong second place in the morning Q3 session at Phillip Island, Fixi Crescent Suzuki rider Leon Camier was disappointed not to carry that form on as the wick was turned up full by the riders in the afternoon Superpole session. 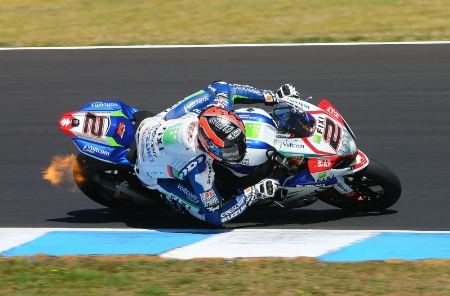 A safe fifth and seventh in the first two sessions helped the Kent rider comfortably into the all-important third phase where, for 2013, there’s added weight to the session with the WSB grid now forming three to a row instead of the tradtional four, mirroring MotoGP qualifying. Rather than opting for the softer compound qualifying Pirelli tyre like many others, Camier secured seventh place on the grid for the fast run down to turn one in the early hours of tomorrow morning UK time on race compound tyres, so he’s naturally a little more confident for the double-header of races but strangely still thinks he’ll need a tow from the faster bikes.